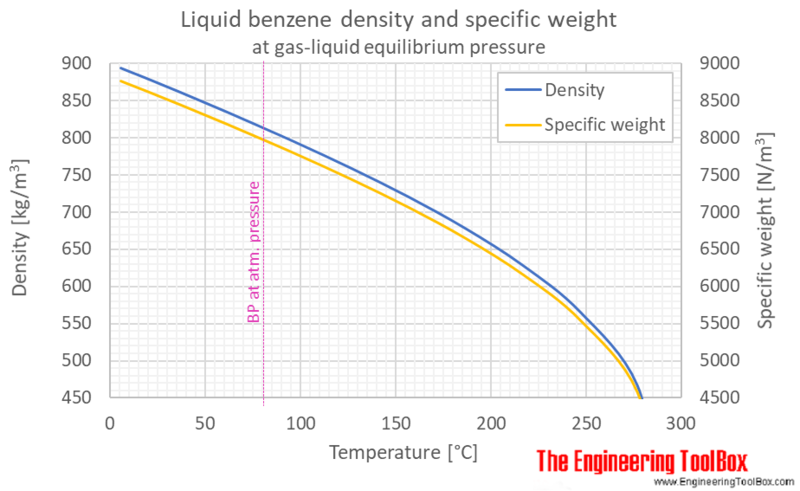 Tabulated values of benzene density and specific weight at given temperature and pressure (SI and Imperial units) as well as density units conversion are given below the figures. 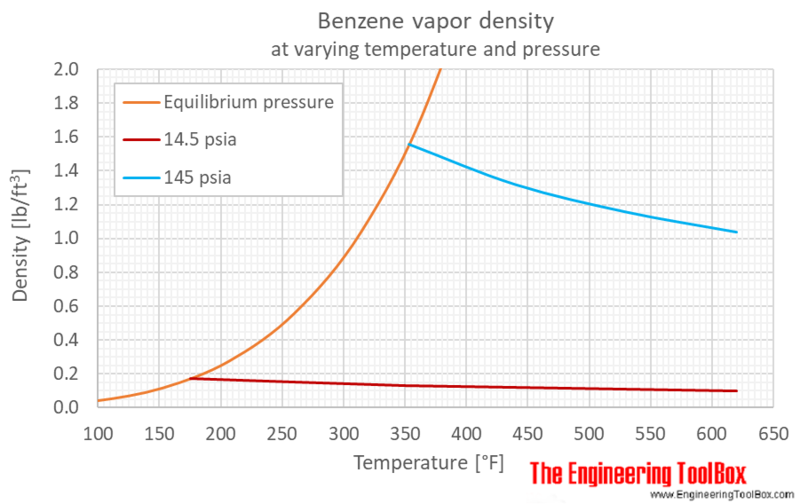 The calculator below can be used to estimate the density and specific weight of liquid benzene at given temperature (maximum 250°C or 620 °F) and maximum 28 bara (400 psia). Note! 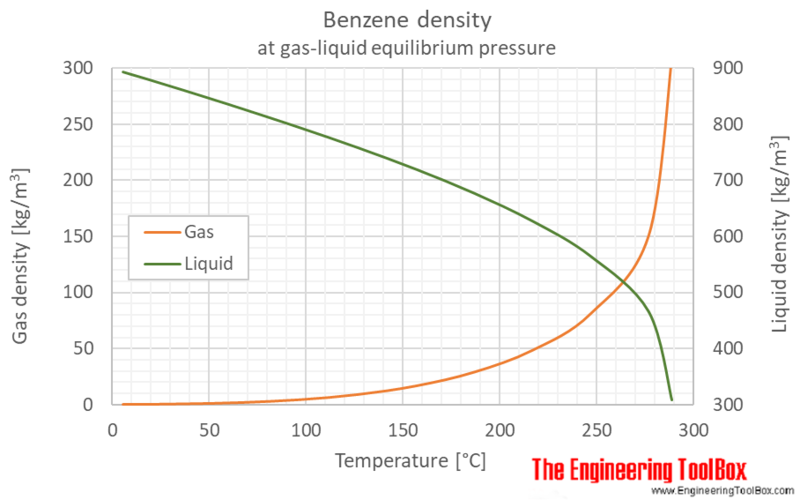 Benzene boiling point at atmospheric pressure is 80 °C (176°F), and hence, benzene must be pressurized to remain liquid at higher temperatures than that. as well as density and specific weight of acetone, air, ammonia, argon, butane, carbon dioxide, carbon monoxide, ethane, ethanol, ethylene, helium, hydrogen, methane, methanol, nitrogen, oxygen, pentane, propane, toluene and water. Density of crude oil, Density of fuel oils, Density of lubricating oil and Density of jet fuel as function of temperature. 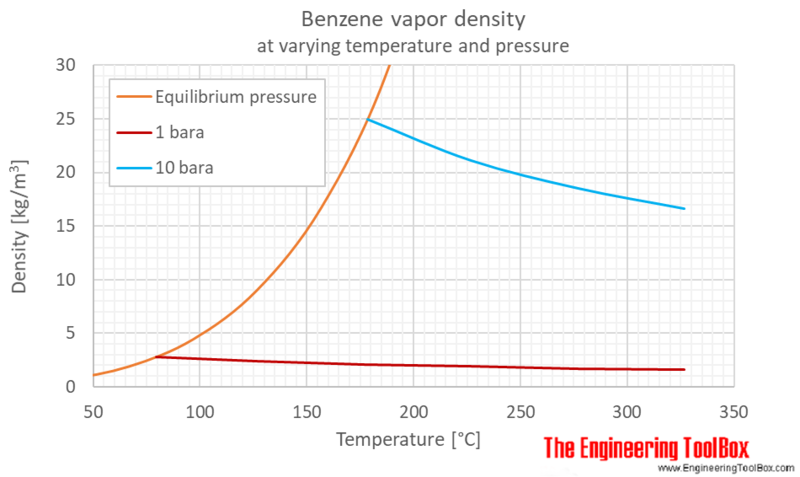 The density of liquid benzene is nearly the same for all pressures up to 100 bara, and the density of the liquid at equilibrium pressure can be used for most practical purposes. Engineering ToolBox, (2018). 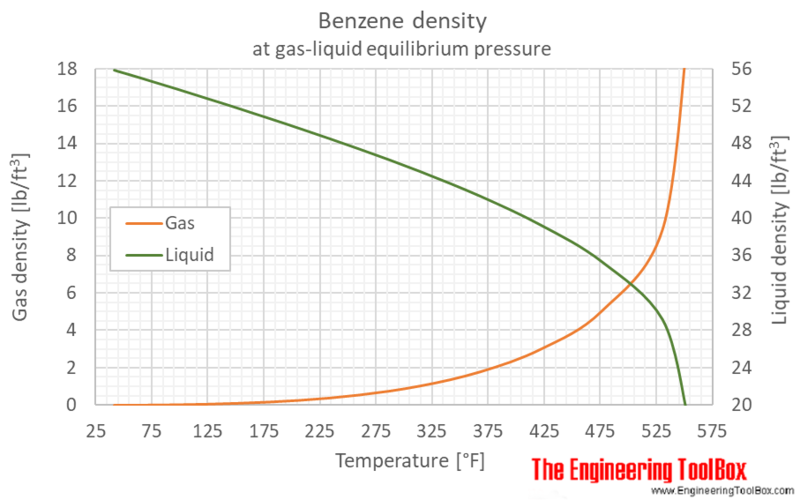 Benzene - Density and Specific Weight. 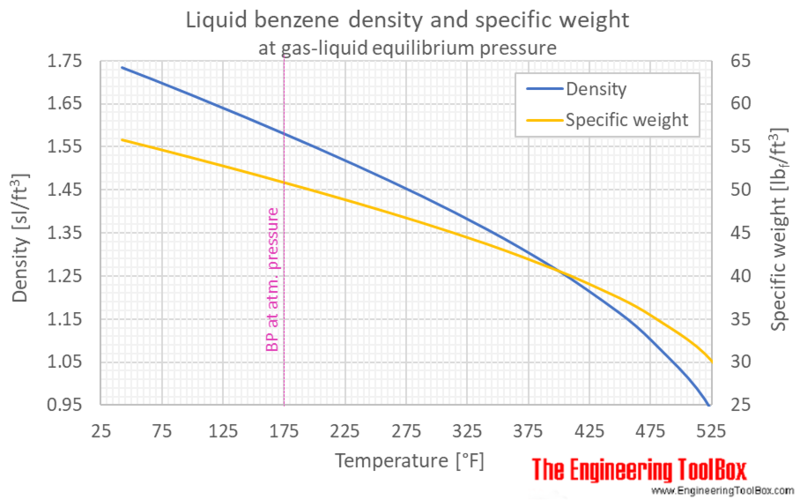 [online] Available at: https://www.engineeringtoolbox.com/benzene-benzol-density-specific-weight-temperaure-pressure-d_2057.html [Accessed Day Mo. Year].